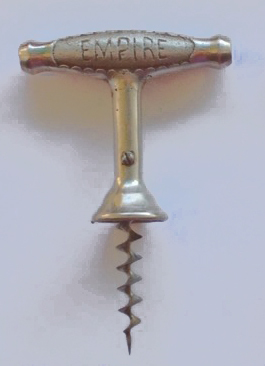 The text within the email said, “Frary Corkscrew?” and included information regarding the collection from which the corkscrew in the photo finds its origins. And, the photo was pretty sweet! I quickly responded requesting further information, and after DB’s response, have since sent an email to the person that (potentially) possesses the Frary, as it could have been sold off privately at one point or another. No response as of yet, but I will keep my hopes up. 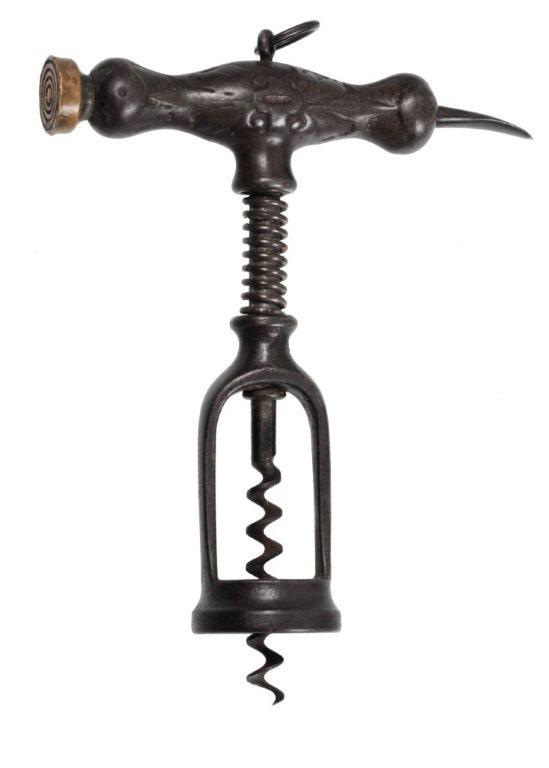 This would definitely be one that would be a fantastic addition to the growing Frary corkscrew collection (19 at this point, although a couple are duplicates). If this particular corkscrew isn’t available, it just means there is yet another Frary to be placed on the “must have” list. 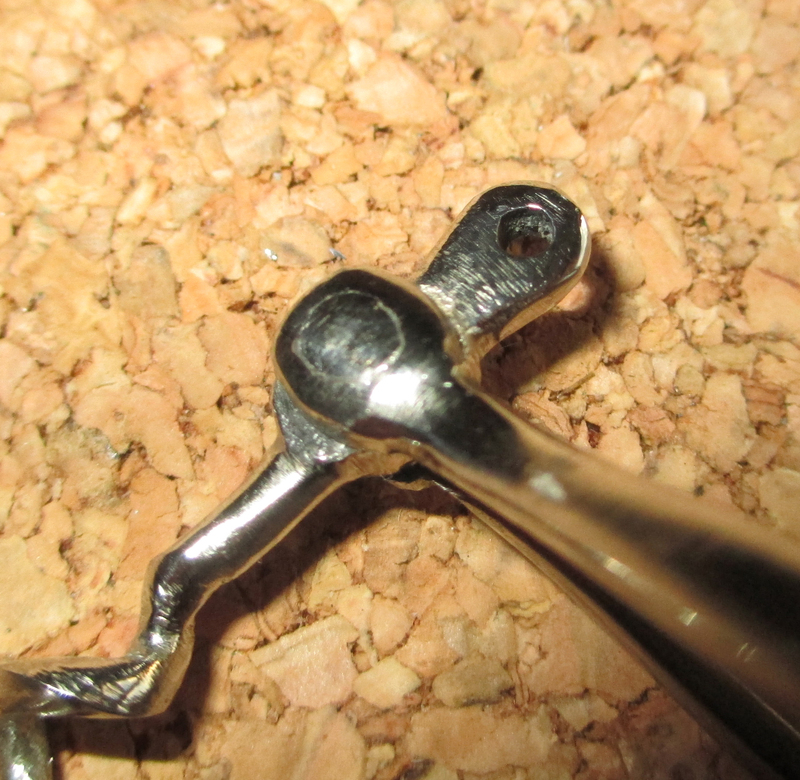 If you have a Frary corkscrew with which you would like to part–and you can see them on my Frary Corkscrew page–I am always looking!!! 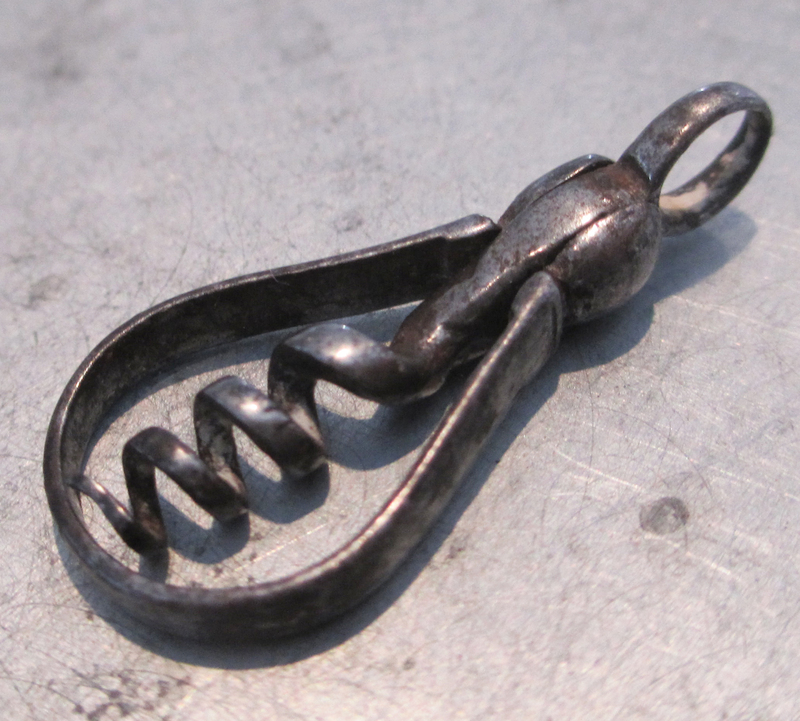 As some of you may have already seen, the latest ICCAuction opened today with 250 corkscrew lots going on the block. 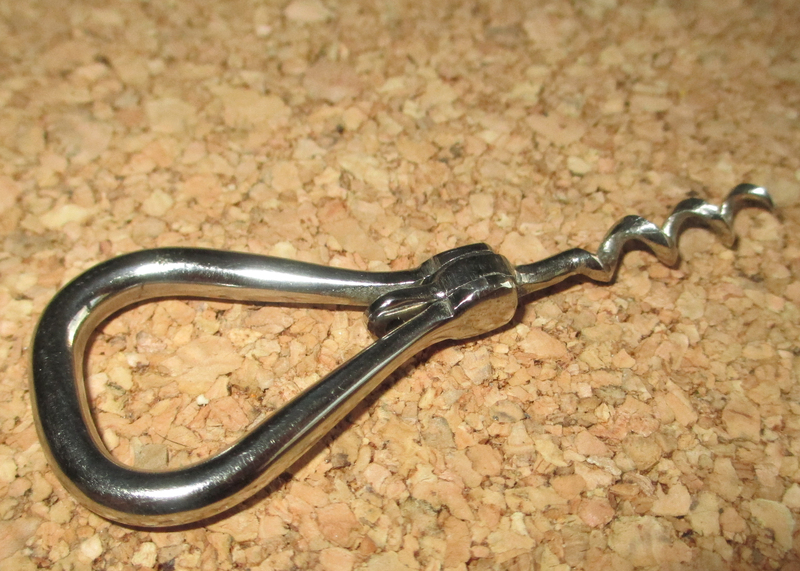 And, there are some fantastic corkscrews, many of which that have no reserves. I will definitely be bidding on a bunch of these!!! 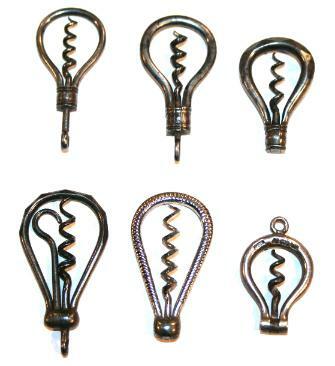 Definitely some awesome corkscrews to be had!!! Technically, I am NOT adding to the Murphy corkscrew collection, although it isn’t for a lack of trying. Which ones am I lacking? Well, of the ones I know about, I have yet to find a Murphy with a knife (or Murphys with Knives) as there are variations in handle or direct pull vs. button. And, there is a rare Murphy with little spikes that are under the bell, and I don’t have that one either! And, there is a variation with a brass bell! I would love to add one of those! Of course, there are probably other variations that would fit nicely into the collation. 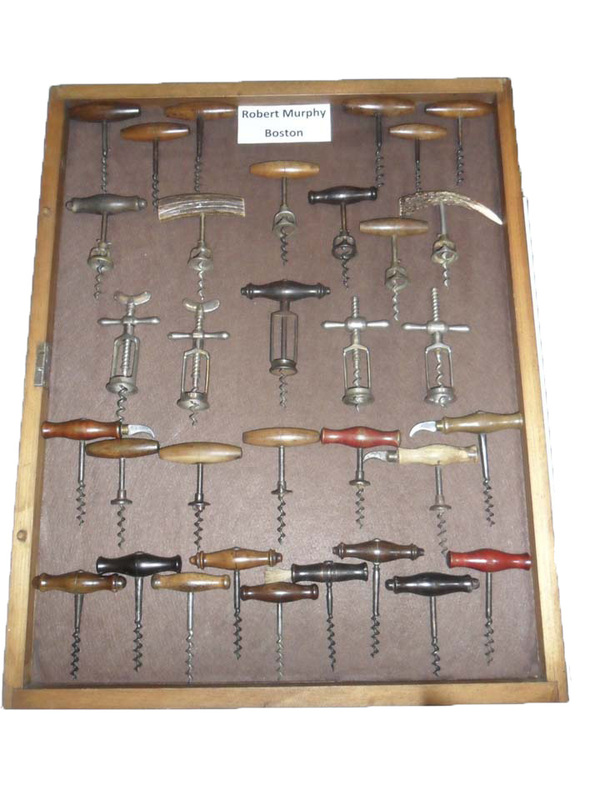 And, for those of you that weren’t in Boston for the CCCC a couple of years ago, here is the display of Murphy corkscrew variants that at the time we (BT, JM, KC, and myself) had in our respective collections. A few have been added since put together that display–for example the Ivory handled one that made my best 6 for last year, and a R. Murphy Boston bell signed on the shaft, with no patent date, as pictured in the catalog pages from Bob Nugent’s 1990 article was picked up at Brimfield last year. I will keep bothering Robert to see if he will trade me his recent Murphy acquisition, but given that it is highly unlikely that he will be willing to part with it, feel free to send me pictures of the Murphys in your collections. Perhaps we can make a trade, as I do have doubles! The lovely bride and I had a fabulous time whilst in Vermont. And, it was wonderful to go meandering on the backroads of new areas. Yes, we did stop to hit the antique stores that we saw along the way, but unfortunately there weren’t any corkscrews of note. One of the crazy multi-tool can openers that I have been hunting for is a “vise o lift.” It is a jar-lifter-can-opener-contraption that is actually an American patent. And, I was rounding the last aisle of the upstairs of one particular antique mall, and there it was. Hanging from a nail above the booth–partially obscured by the beam that spanned the ceiling. I reached for the prized corkscrew/can opener/jar lifter only to see that there was no corkscrew attached. Apparently William S. Elters of Dayton, Ohio who was awarded U.S. Patent 1906454 in 1933 didn’t ensure that a corkscrew was attached to each Vise-o-Lift made!!! Oh well, the hunt will continue. Of course, if you have a Vise-O-Lift corkscrew contraption that actually has the corkscrew attached, drop me a line!!! While I will have the iPhone with me, our access will be somewhat limited, but I will report back here with any discoveries and/or adventures. Two weeks ago, I came across a can opener / bottle opener collection that was being put up for sale. With no pictures available, after a brief email and phone call exchange, images were promised to be emailed the next day. And, images arrived as promised. There was indeed a large collection of openers and a few corkscrews. So, I perused the pictures, and looked to see what might be worth acquiring from the collection (btw: there are four more cases like this in the collection). After seeing several hundred dollars worth of corkscrews in and amongst the openers and kitchen tools, I spotted a can-opener with corkscrew that looked familiar. Familiar, as I have seen it as an opener, but never before with a corkscrew attached! 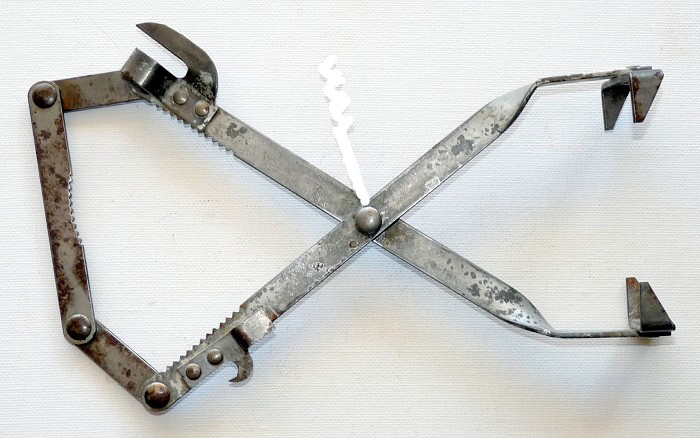 While there were corkscrews in the collection that may bring a higher dollar at auction, I have an affinity for can openers with corkscrews, and I had to see if they would part with this one. I sent an email last Wednesday, and the next morning, the response confirmed what I suspected, the can opener is marked. I had thought it looked similar to a Boyes Needle Company opener, and when the markings were explained, I did a small corkscrew-dance-of-joy. 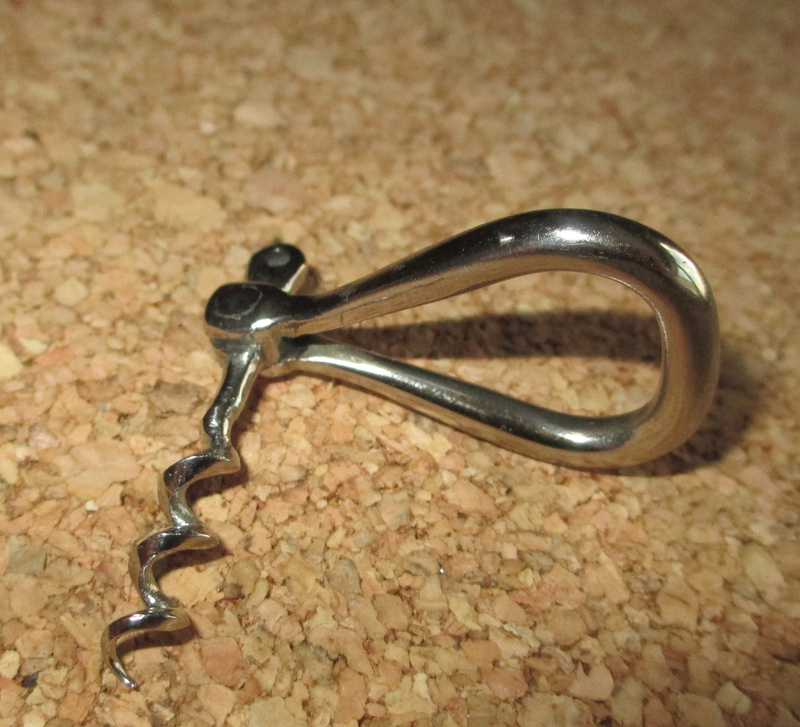 Following a series of emails negotiating price, the corkscrew was on its way to the collection. Now, you may be asking why…? And, for those of you that have O’Leary handy, and are quickly thumbing to the patent drawings in the back of the book, don’t worry, you won’t find it. Nope… it isn’t in the back of O’Leary! But, here are the patent drawings from google patents! Yes, Drawings plural! 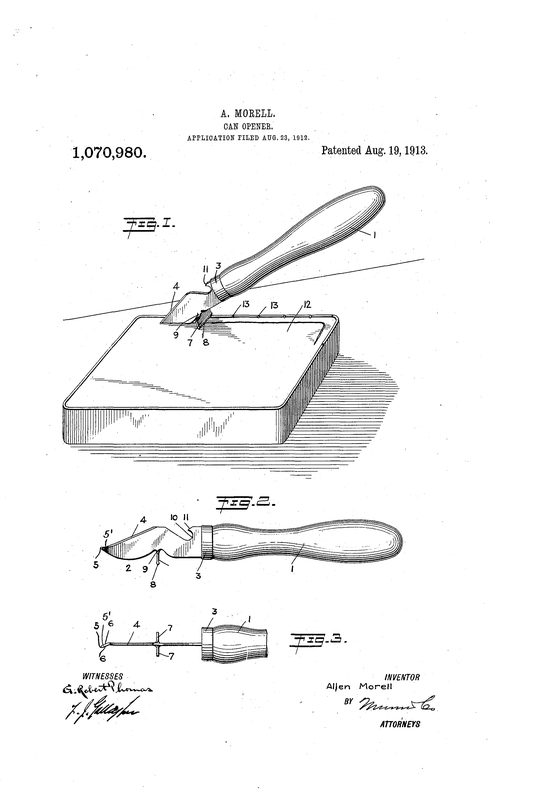 Patent number 1,070,980 was awarded to Allen Morrell for his Can-Opener (Thanks Bob! 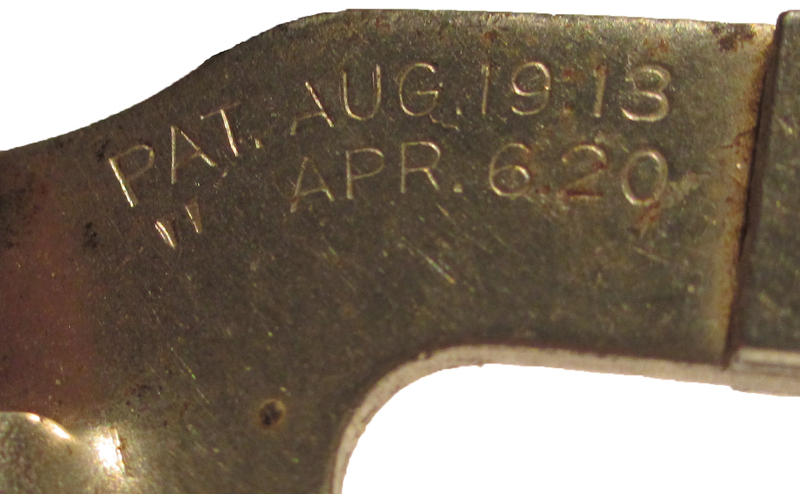 ), and patent number 1,336,126 was awarded to Gustav Carlson in 1920 for his Can Opener. Another patent discovery. It looks like we will need to update the latest update. I will preface this by saying, I am not talking about a New Year’s resolution. 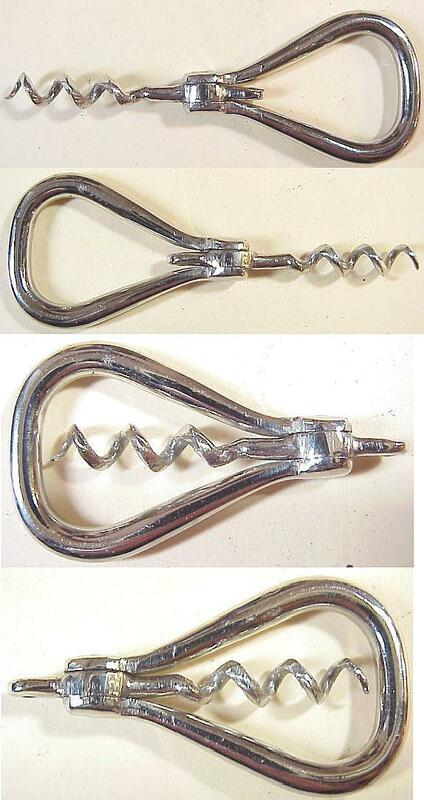 The other day, someone listed a small folding bow corkscrew, and the images that accompanied their ebay listing, made the corkscrew look like a modern, and possibly poorly made, chrome version of an early corkscrew. Now, the listing had a buy it now of 25 dollars, and I figured it was worth taking a chance on the little bow. It arrived yesterday, and I could hardly believe my eyes when I pulled it from the package. The corkscrew is quite handsome, and the pictures didn’t do it justice. Was it the lighting, or the resolution, that made a fantastic corkscrew look like a cheap knock off? 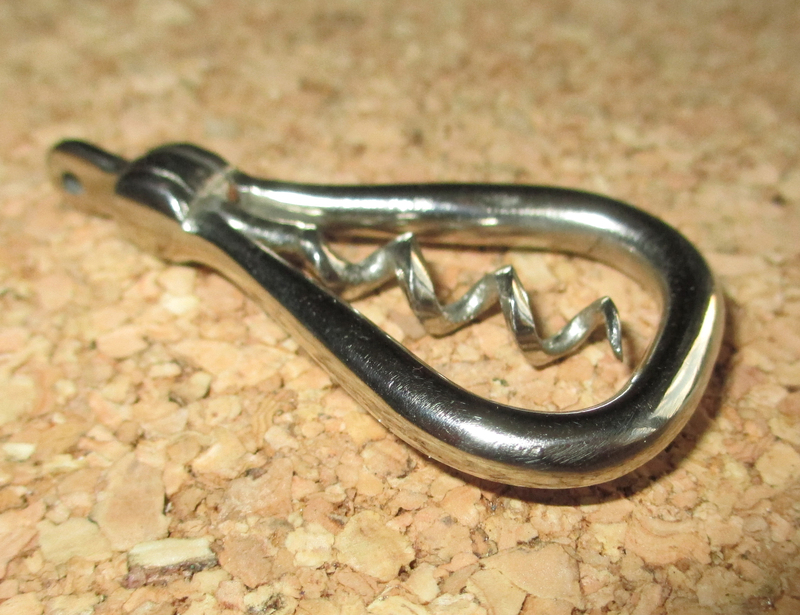 Measuring 1 3/4 inches when closed, it is a beautiful nickel corkscrew that has quite the snap to the hinge. While there are many many corkscrews which I would love to add to the collection this year, and I have no doubt it will be another exciting (and sometimes frustrating) year of hunting and collecting, here are the 6 corkscrews that I hope will make my best 6 for 2013!!! If you have any of these, and would like to help me fill in the best 6, feel free to suggest a trade/deal. And, perhaps a new discovery from the BOO (Back of O’Leary). Yes, I think this would make a pretty good best 6. So, with the new year starting, let the hunting begin!